Alecia sent us a simple request to make her Monday - Rian and the team decided to treat her with a lot more. Make My Monday / Jacaranda FM. We received a message on Facebook from Alecia van der Merwe saying that she adores elephants and her biggest dream is to touch one. I love elephants so so much. And I want to ask if there's someone you know that might just give me a minute to just touch and say hello to one. It's been a dream of mine so so long. I am able to go to places where I can see them but not come near them. READ ALSO: Make My Monday: Rian makes bride's wedding dreams come true! Rian decided to make Alecia's Monday by sending her and her boyfriend, George Jenkins to Bela-Bela in Limpopo - but they had no idea what to expect. We roped-in the help of our friends at Adventures With Elephants. 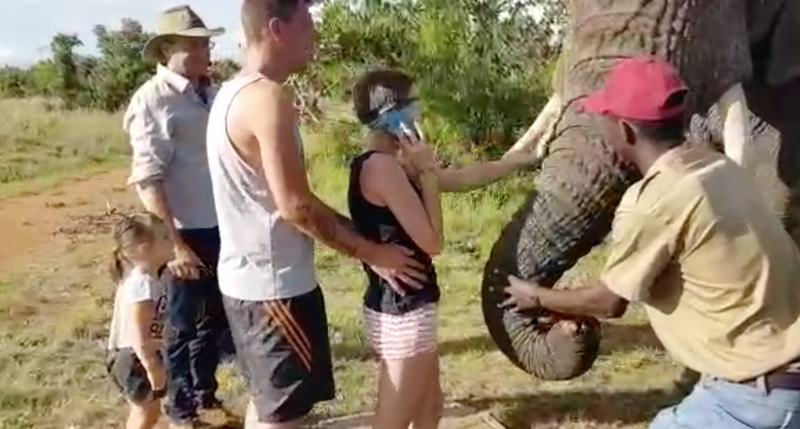 The couple received more than just a "touch and feed” activity, Adventures With Elephants' offers comprehensive interactions for each visitor to experience, tangibly the intellect and warmth of these gentle giants. Zebula Golf Estate and Spa in Bela-Bela also offered the couple a complimentary night at Zebula Golf Estate and Spa – including breakfast, whereafter they will take part in the Wild Raptor Experience at the Wild Raptor Conservancy, a bird of prey rehabilitation center that focusses on conservation through education and rehabilitation.